An adulterous woman's faith in God is tested when her husband dies and miraculously comes back to life. Charles: It's not good to know too much about someone. This faithful, slightly overlong remake of the underrated 1943 Hitchcock thriller isn't nearly as bad as most people seem to think. It can't compare with Hitchcock's version, of course, but should it be condemned simply because of that? 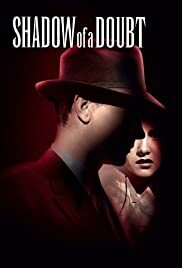 In a way, this film is similar to the 1979 version of "The Lady Vanishes"; both remakes lack Hitchcock's style but the stories are so strong that the films do manage to keep you absorbed. Mark Harmon is ideally cast as Uncle Charlie - in some key scenes I think he is even preferable to Cotten. The girl who plays his niece looks too old for the part and isn't nearly as engaging as the young actress that had the role in the original. This remake can't shake off a sense of uselessness, but it's still good-looking, well-mounted and generally entertaining.